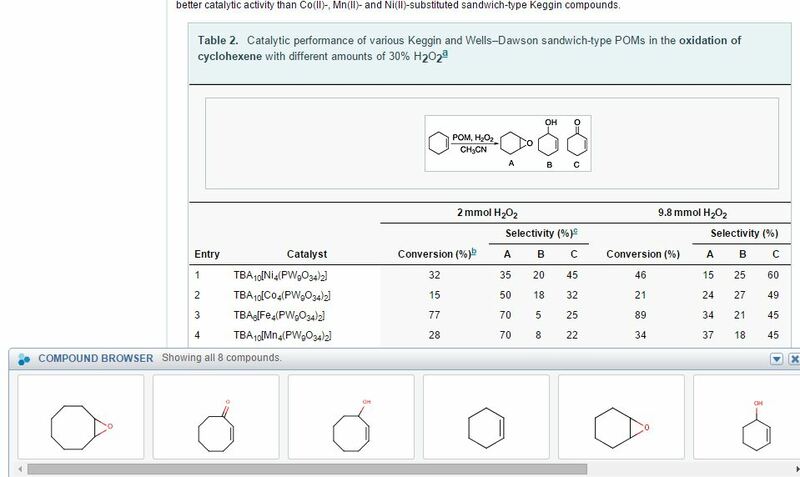 Over 18 months I worked on the Functional Chemistry project. 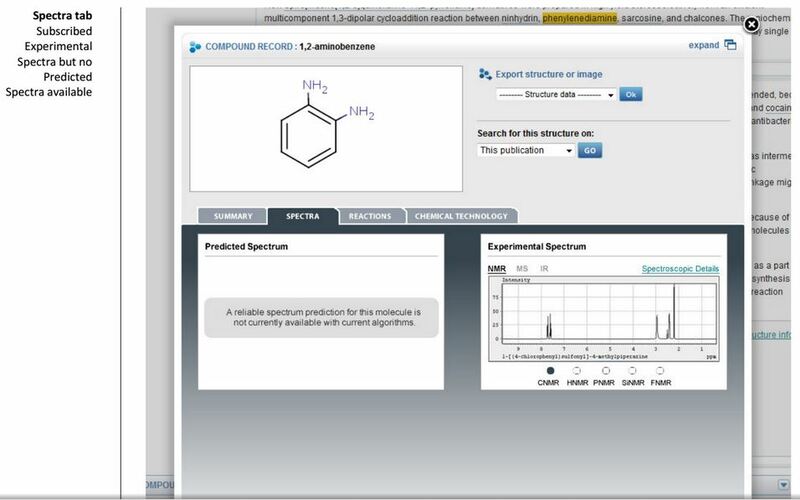 It entailed extracting chemistry related content from hundreds of thousands of academic papers in Wiley Online Library (WOL) and mapping the content to data made available from commercially available data warehouses. I worked closely with business analysts, chemists, technical and enterprise architects, in order to understand the technical constraints, to design the user journeys and how the content would be surfaced. As part of creating the journeys I needed to cater to all the authentication and access pathways of WOL’s subscription levels. Metadata, too was impacted and I designed new styles which required new CSS markup to be incorporated, eg. table headers. 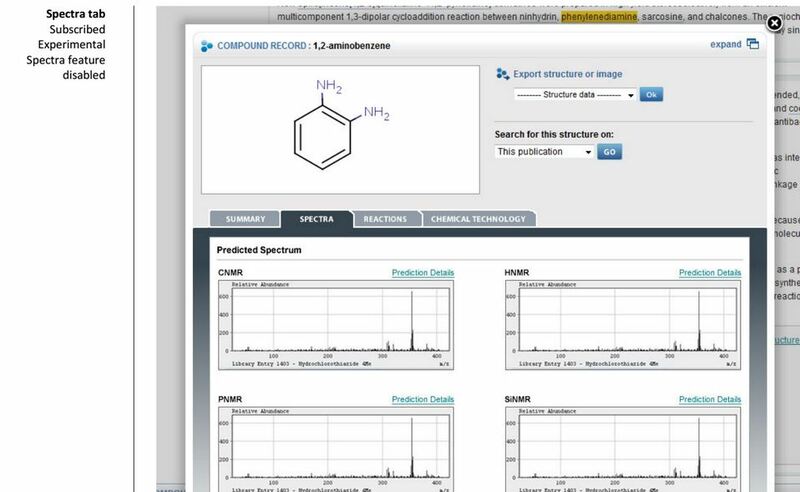 A number of tools were introduced to help chemists deep link into the data provided by the third party databases. 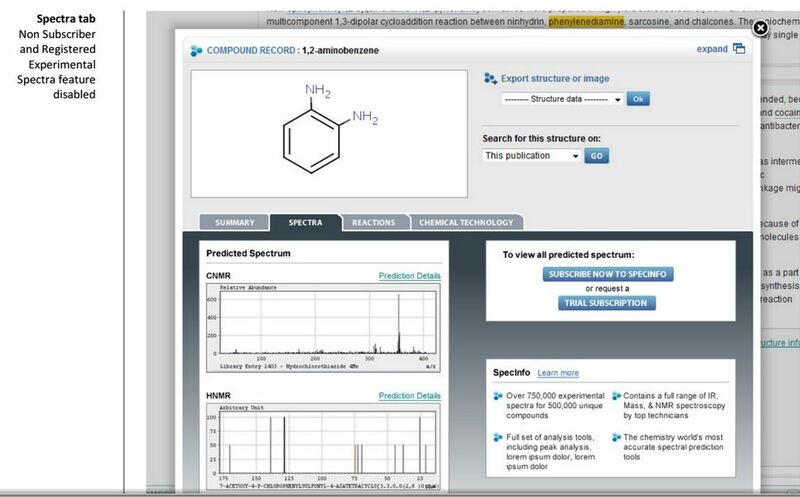 This example shows the compound browser that snapped to the bottom of the browser. 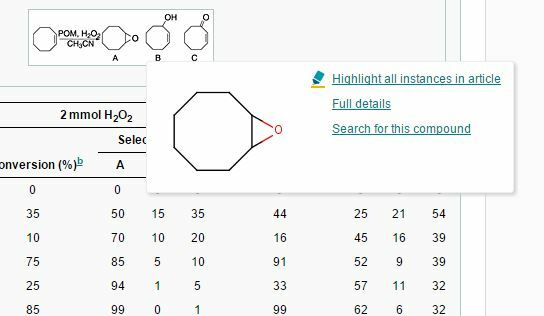 It displayed all of the compounds featured in the article – a query done on the fly to the database.